Zion Music Festival is an event meant to connect with families & friends, worship God, and see hearts changed. Our mission is the fight against drug and alcohol abuse and our target group is our Youth…the next generation and to reach them through the ministry of music. We recognize the powerful message and influence music can have on a person’s life. Music can inspire and uplift a person through song and encouraging lyrics. We believe we need to meet a person “where they’re at” and create an environment for the whole family to enjoy. 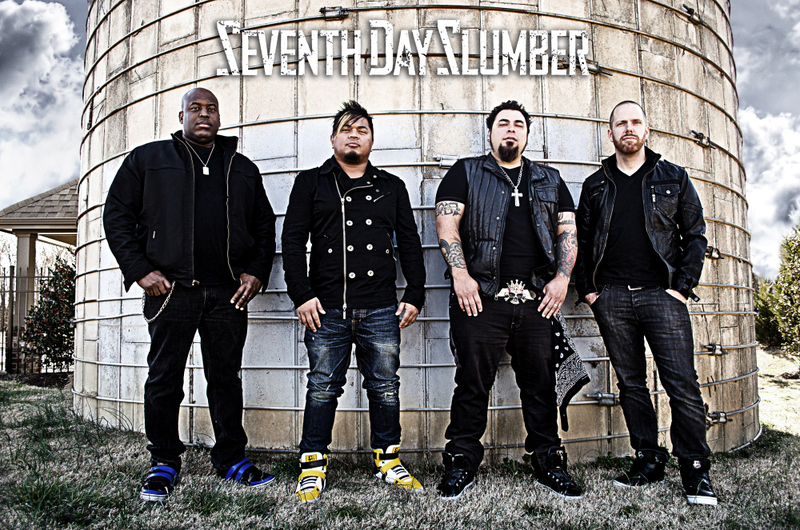 BEC Recording Artists, Seventh Day Slumber , will be headlining Zion Music Festival 2014! Bring your whole family to the Roots Music Series at the Pioneer Museum, 325 West Main Street! Listen to emerging and established artists at these live, outdoor concerts. Dance on the dance floor beside the stage and under the trees. Get comfortable in your favorite lawn chair under the stars. Dine on some of the best cooking in the county with a cold beer, wine, water or soft drinks for sale. Every month brings a different genre and menu. This month is “Texas Americana Night” featuring Weldon Henson at 7 pm and Hal Ketchum at 8:50 pm. All proceeds support the Mission of the Gillespie County Historical Society (GCHS). Gates open at 5 pm; music starts at 6:30 pm. $15 per person at the gate or $13 online. Kids under 18 are free. Call 830-990-8441 for more information. Three performances only: Friday at 8 pm and Saturday at 4:30 and 8 pm. $37 – $47 adults; $17 youth. Call (830) 997-7625 for more information. Thirteen wineries, making up the Texas Wine Road 290 wine trail, in cooperation with the Texas Pork Producers Association invite you to participate in a Saturday, June 21 event. Each winery will team with a top restaurant in the Texas Hill Country to present VINO AL PASTOR. Vino al Pastor literally means wine and “Shepherd style” meat. Tacos al pastor, is a Mexican dish adoption of a spit-grilled meat, usually pork, served on a taco. Each restaurant will prepare a recipe using pork shoulder meat, usually marinated with a blend of different spices and herbs, and some “summertime” grilling presentation. When you visit the winery during the trail day of the event you will enjoy a wine especially paired with the PORK recipe served using PORK shoulder meat. You will also receive a copy of the recipe enjoyed at the winery. Show Dad how much you care! Visit three great wineries and enjoy wine tastings, food pairings and live entertainment! Join us for this special event. Ticket quantities are limited so be sure to book early. Check in at 4.0 Cellars or Mendelbaum Cellars. Pick up your complimentary bottle of wine at Inwood Estates Winery and Bistro. Tickets are $45 and include a crystal 19 oz. Bordeaux wine glass, complimentary bottle of wine, food pairings and live entertainment. Call 830-997-2304 for more information. This daylong event features living history re-enactments that bring the Fort to life again! Witness the daily lives of pioneers, gold rushers, teamsters, Native Americans, Texas Rangers and craftsmen as they travel about the Fort. 10 am to 4 pm. Free admission. Fort Martin Scott is at 1606 E. Main Street. Call 830-997-7521 for details. See local Boy Scout troops perform a Flag Disposal Ceremony at National Museum of the Pacific War Plaza of the Presidents, 340 East Main Street June 14 at 10 am. Enjoy the museum grounds decorated with over 10,000 flags. Program is free, but standard museum admission otherwise applies. Every ticket holder will receive a free flag. This 29th annual show will appeal to anyone who is interested in antique farm machinery. Preserving our heritage of power! To be held at the Gillespie County Fairgrounds (530 Fair Drive), activities will include exhibits of antique tractors and antique engines, an antique tractor parade, tractor-pulls, kiddy tractor-pulls, fence making, farm machinery demonstrations, featured operations of large engines, a blacksmith shop, vendors of agriculture-related items, and food and drink concessions. Call 830-889-9348 for more information. Chisholm Trail Winery is turning 13 and they’re throwing a rip roarin’ party on Saturday, June 14th to celebrate! Featuring bag pipes, live country music, cowboy shoot-outs, saloon girls and more! Noon to 6 pm. Event is free, but wine tasting fees do apply. 2367 Usener Rd. The Fredericksburg Community Orchestras announce their 3rd Annual “Bach at the “Bach” fundraising event to be held on the outdoor stage in Luckenbach, Texas, 412 Luckenbach Town Loop. FCO string ensemble and childrens ensembles will perform favorite selections from the season. The public is invited to attend and enjoy string music and a meal. Boxed dinners of pulled pork or BBQ sandwich, tea, cookie and chips will be served by the Feed Lot at Luckenbach. T-shirts will also be available. Tickets are $25 for the music and meal or $15 for the music only. Purchase tickets online. Proceeds go to the Fredericksburg Community Orchestras, a 501(c)(3) nonprofit formed to promote string music education for all ages in Fredericksburg and surrounding communities. Call (806) 549-2483 for more information. Waylon Jennings and Willie Nelson forever put Luckenbach, Texas into the mind of the nation with their hit "Luckenbach,Texas." Now Luckenbach is returning the favor to the late Waylon Jennings. Annual Father’s Day event filled with music, fun and celebration for Waylon Jennings, one of the original “Waylon, Willie and the Boys”. $10 donation benefits the Good Samaritan Clinic to buy diabetes test kits in honor of Waylon, who died of complications from the disease. Hosted this year by Thomas Michael Riley. 1 pm. 412 Luckenbach Town Loop. Call 830-997-3224. The LBJ State Park and Historic Site will host a fishing clinic for children and their parents from 10 am to 12 pm Saturday June 7. After the clinic, participants will be able to fish in the state park on the banks of the Pedernales River. This is an annual event to get outdoors and have fun. This event is hosted through a partnership by LBJ State Park and Historic Park. Fishing equipment and worms provided or bring your own. Fishing is free. Please no dogs. "Get Fresh, Buy Local" every Thursday at the Fredericksburg Farmers Market on Marktplatz from 4-7 pm. Only the finest produce and products from Gillespie County. Photo by Stacey M Smith.